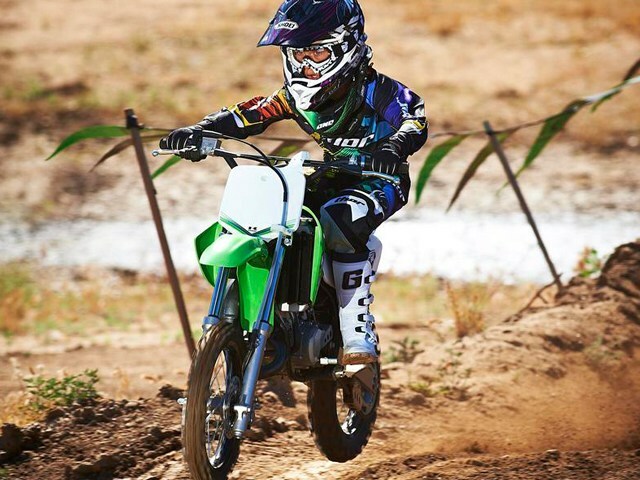 When kids watch their favorite pro motocross rider tear around the nation’s tracks, they often dream of doing so themselves. 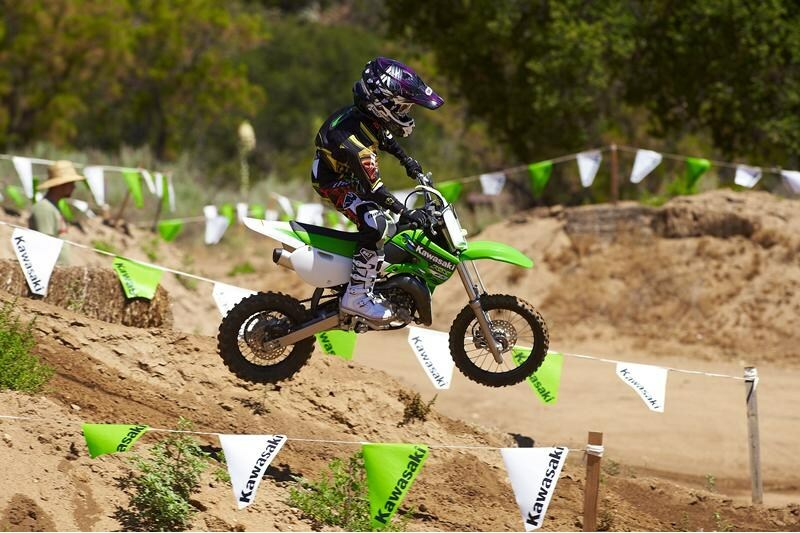 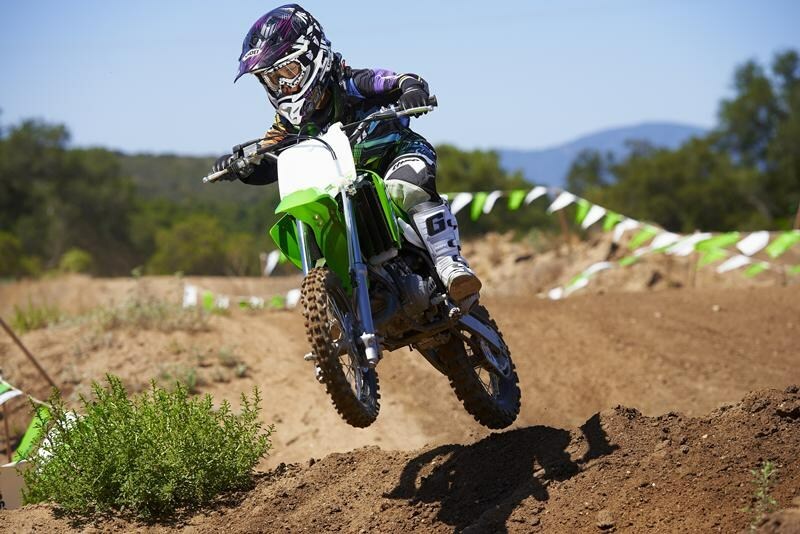 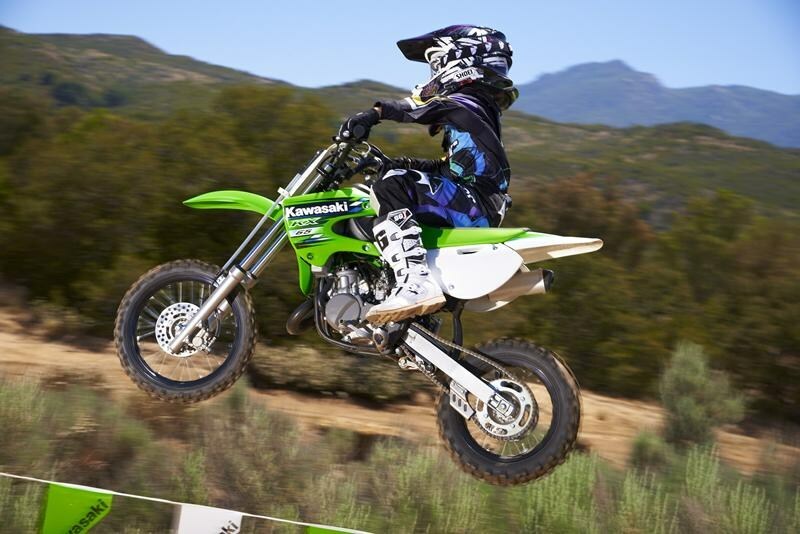 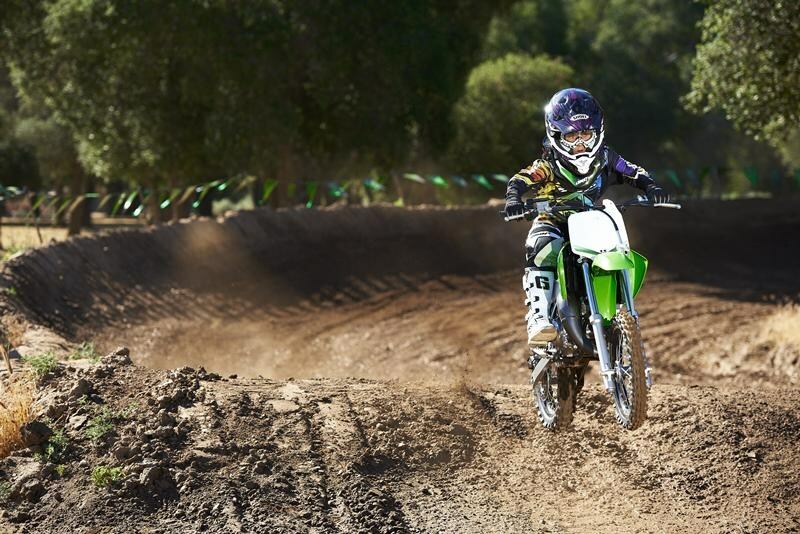 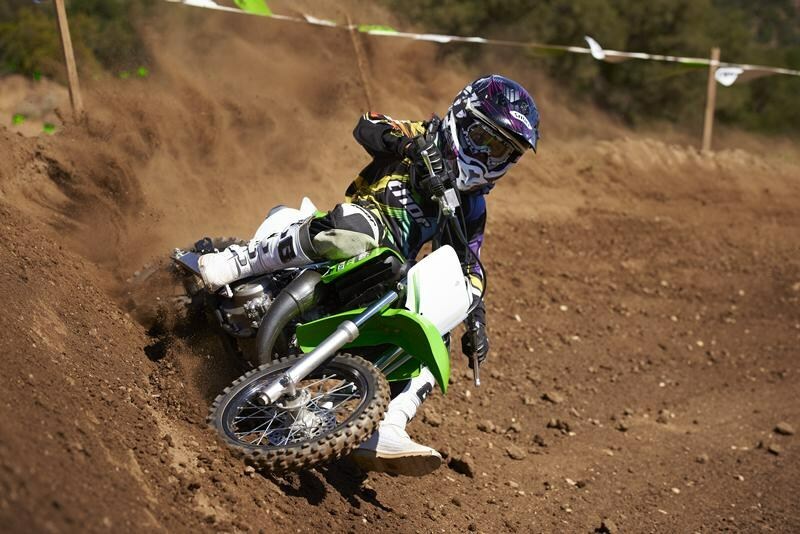 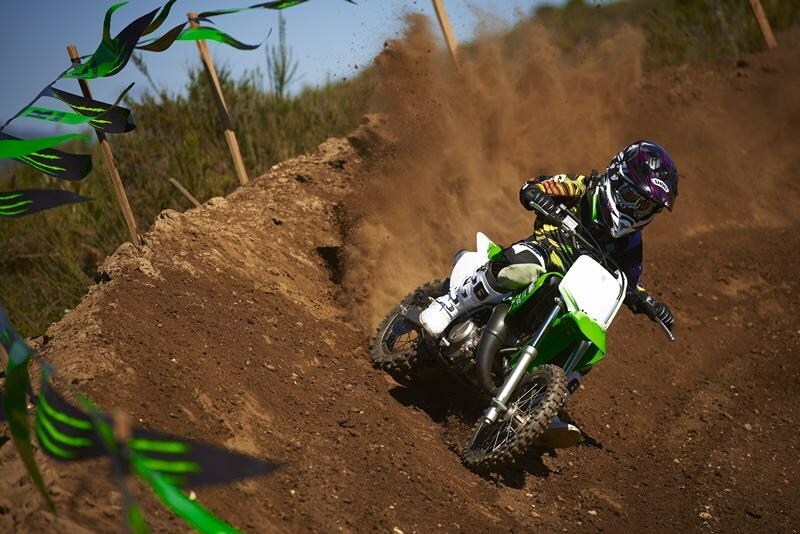 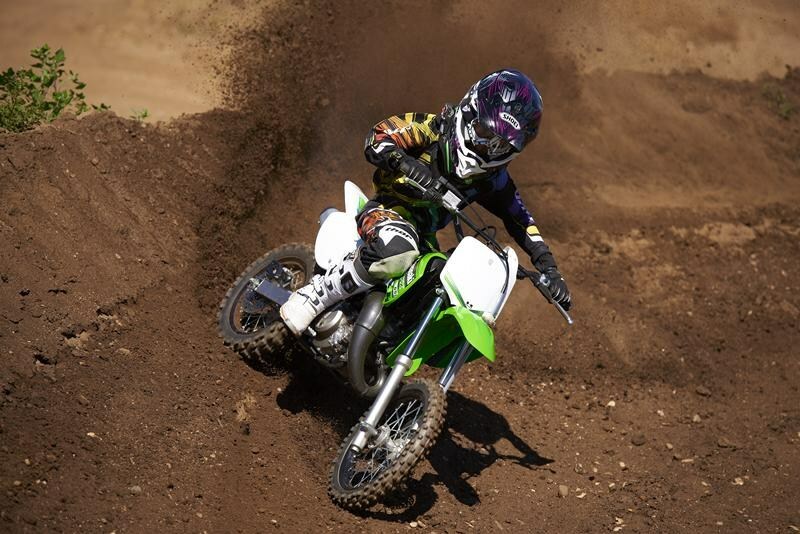 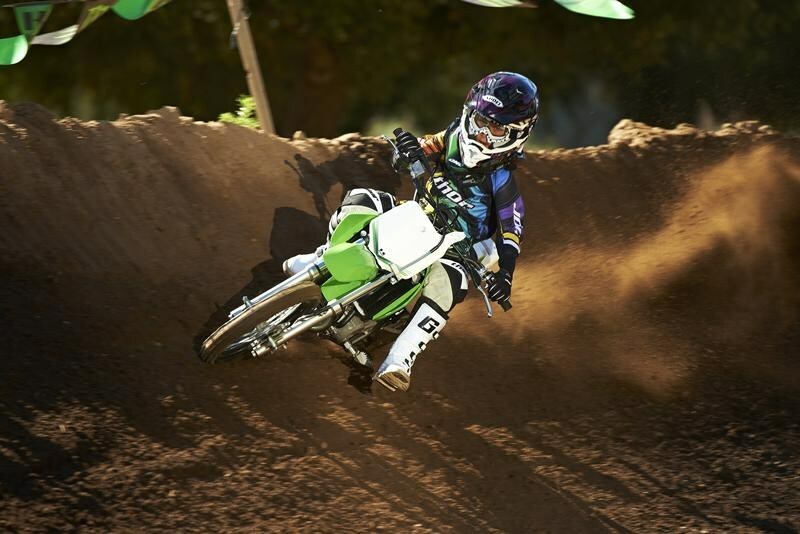 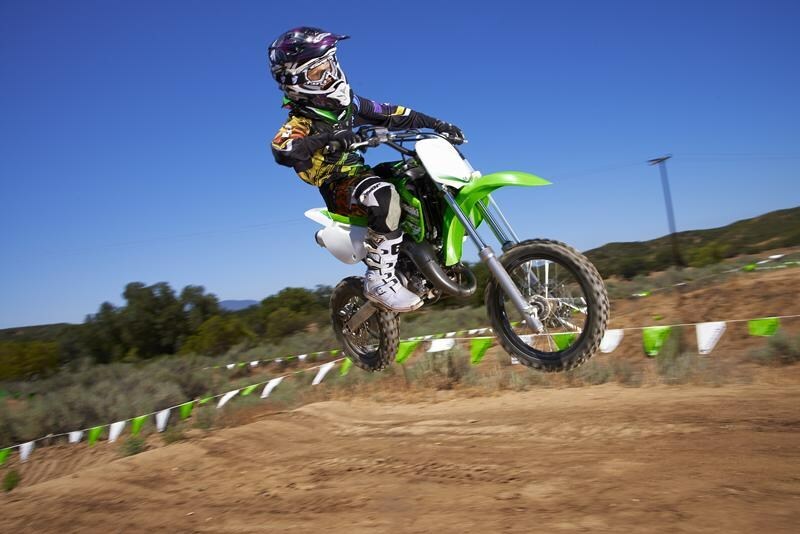 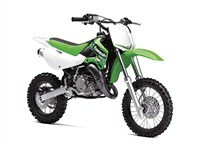 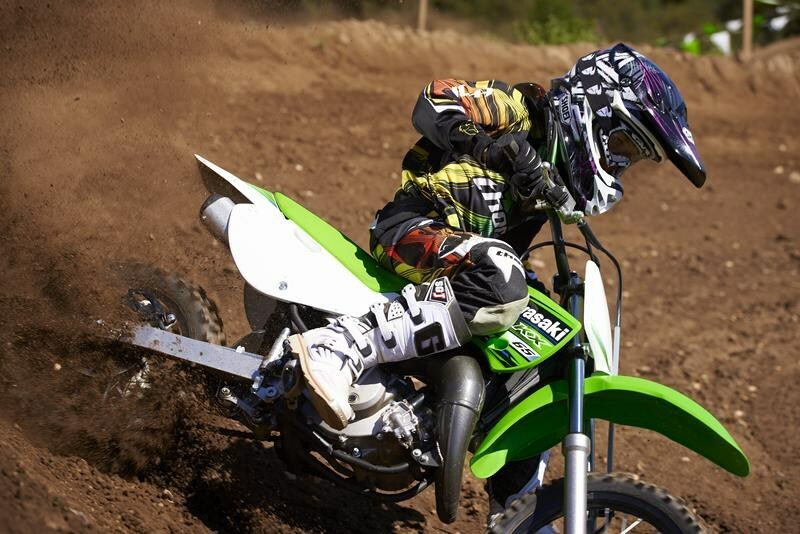 Kawasaki’s compact KX™65, with its powerful two-stroke engine, lightweight chassis, disc brakes and long travel suspension provides just the ammunition to help them make the grade as a young racer getting a first taste of competitive riding. 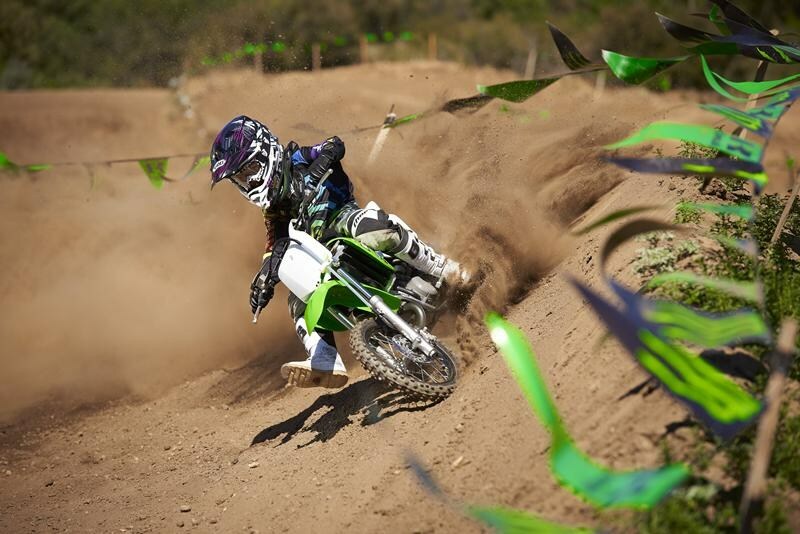 27 degrees / 2.4 in. 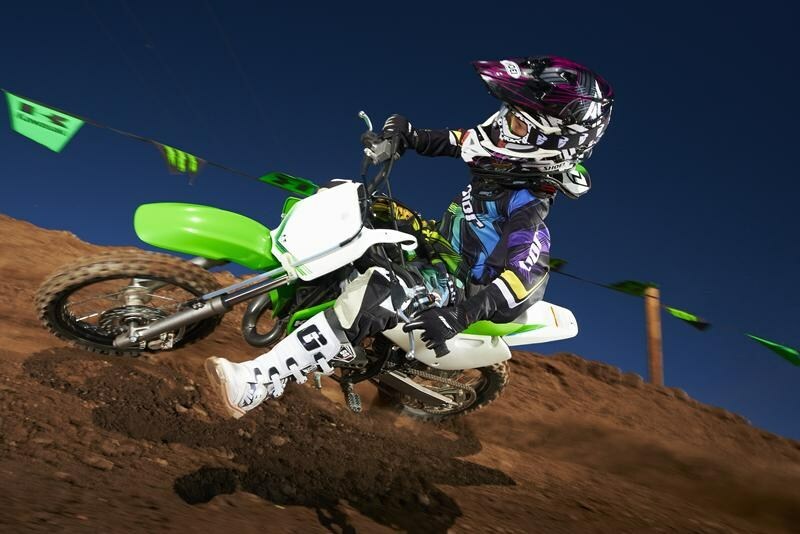 33mm leading axle conventional fork with four-way rebound damping / 8.3 in.